We saw many people struggle to understand the Bible. That's why we exist. We're here to help. We believe that a better understanding of the Bible will lead to a fulfilled life. The Bible is literally "God-breathed" (2 Timothy 3:16). In other words, it is God's very words to us. The Bible is a book that is not merely for reading. It is a book for studying so that it can be applied. Otherwise, it is like swallowing food without chewing and then spitting it back out again—no nutritional value is gained by it. The Bible is like a goldmine. It requires digging but the reward is wealth that money cannot buy! BibleGPS develops easy material (Handbooks, videos, PPT's and devotionals) to enhance your understanding of the Bible and to give you confidence on how to apply God's Word in your daily life. The method we teach we call GPS (God Positioning System). We call our first series Meet God! It consists of five modules. Each module focuses on a specific type of literature in the Bible. The Bible was written by more than 40 authors. A specific author (sender) has put the meaning (message) in a specific form (type of literature). If you are able to interpret e.g. 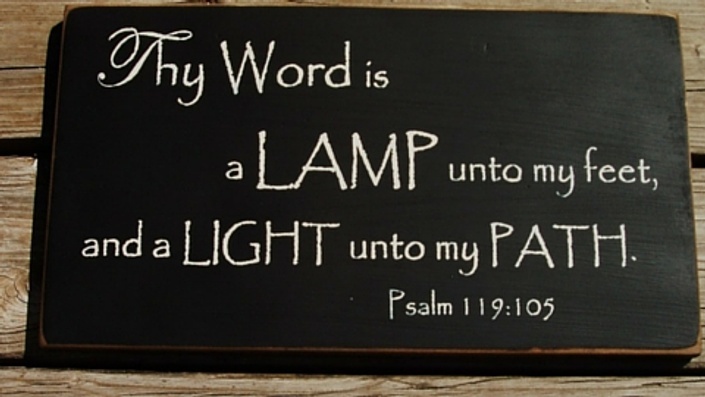 poetry, you will be able to interpret all the poetry parts of the Bible. Think of the different types of literature as different methods of transport e.g. cars, airplanes and ships. It is obvious that you cannot navigate a car like a ship and vice versa. The same principle applies to literature. You cannot interpret a parable like poetry. The language of parables is straight forward, with less figurative language than poetry. But with these lessons, you will be equipped with the skill to drive, fly and sail. Isn't that cool? 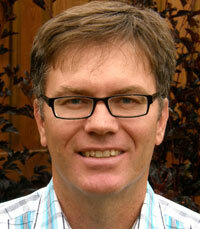 KOBUS GENIS was born in Bellville, South Africa. He obtained a Bachelor's Degree in Theology (BTh) from the University of Stellenbosch, South Africa, and served as a minister in South Africa from 1992-2003. Since 2003 he and his family have been living in sunny Alberta, Canada, where he is a minister at Westminster Presbyterian Church, Calgary. Kobus' passion is to teach people how to understand, apply and communicate the essentials of the Bible in the 21st century.
" From a Garden to A City" is for the more serious student. 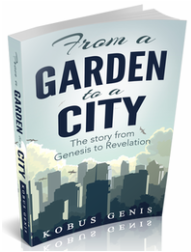 It follows the story line of the Bible from Genesis to Revelation in 365 days.
" 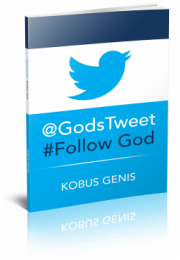 @Godstweet #FollowGod" has a modern approach. It consists of 179 devotionals and is for ages 14 and older.